It’s commonly known that some women can be attracted to a man, simply by the style of his shoes. I might be one of those women. If a man get it wrong, he may not even get past the first date. If it’s his wife that’s still buying his footwear, take control during shopping outings and pick his own style that he feel confident in. It’s not just about following this season trends, but have a small eclectic mix of different style for the office, the gym, Saturday nights out and weekends away. Gender aside, some view shoes as practical necessities, while others have a shoe obsession. Try to land straight in the middle and shop for comfort, style and occasion. Men can wear almost any colour or style of shoe with jeans, but avoid very shiny shoes that were obviously intended for dressier outfits. Add a sporty polo shirt which can be complimented with a loafer. When entering the boardroom, your man should be ready to be scanned from head to toe while approaching his dutiful handshake. Make sure his footwear works in synergy with his suit, be it a brogue or an oxford, wear shoes with laces rather than slip on’s. Leather is a more durable outer fabric which can be polished to add a professional, elegant shine. Take your pick from high tops, boots or sandals. Dress for comfort and make sure his footwear compliments his denim jeans, chinos or board shorts. · Black shoes work well with navy, grey or black pants. 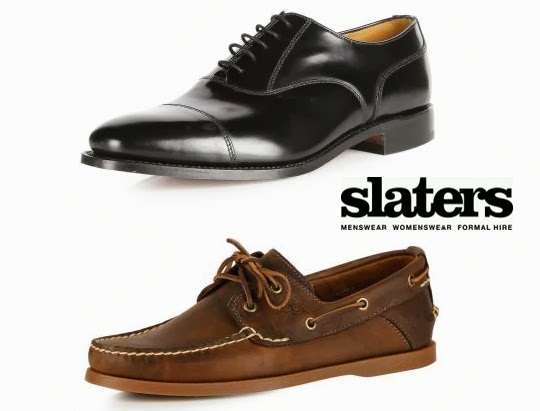 · Brown shoes are best suited to tan, brown, beige, greens, other darker earth tones. · Burgundy shoes work well with khaki, lighter browns, blue and grey. · Tan shoes look great with lighter earth tones, blue, beige, lighter tan or white. Make sure your man stand out from the crowd for all the right reasons and take pride in selecting his footwear. 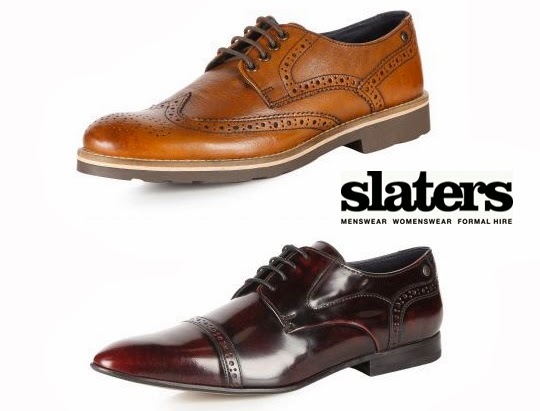 With any of the shoes from the Slaters Mens Shoes range he could step in to every meeting that little bit more confident.